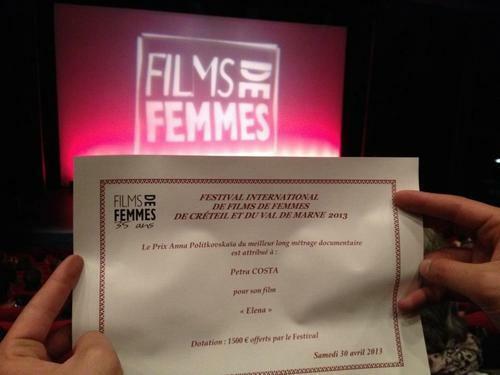 Petra Costa’s Elena received the award for best documentary feature at FESTIVAL INTERNATIONAL DE FILMS DE FEMMES today, along with a 1500 € cash prize. In the tumult of revolution, it was better demainsuit a woman, Aida, who has everything to rebuild and does not want to look back.As she wades in a disadvantaged area to another, the revolution made its sensational debut.Driven from a desire to escape, to find shelter in Tunis for her and her children, she ignores the historical events surrounding it.Its sole purpose is to rebuild and is convinced that the revolution is a blessing.It was better tomorrow is interested in a woman atypical bold and crazy in this intense interval what the revolution for a country. During the two years of the making of the film – summer 2010 to summer 2012 – huge changes have occurred in the Middle East, especially in the two countries of the film, Egypt and Syria.A film like this, freedom of expression and repression in these countries could embark on that course frenetic revolutions at work.By interviewing experience different cartoonists Egyptian and Syrian complete reversal before and during these historic against despotism, this film tries to take the pulse of freedom also called secure our future and our right to expression, and to preserve us censors. A dialogue between two generations. A dialogue to explore the past and the present. The nostalgia of an era that is absent now yet some members of this time still exist . The subject of the film is ‘a feeling’. The feeling of loss and disappearance. Of a time that existed and now only the almost invisible remnants exist. Land of Bundelkhand in central India is a place of desolation.And yet, women Gulabi Gang we hope to discover.Dressed in pink saris they travel long distances in their struggle for justice for women, undaunted by mockery and condescension.Their leader, Sampat Pal, is a fighter, impression of his own version of feminism.Constantly in motion, it passes the investigation of the suspicious death of a young woman to protest against a corrupt official.Everywhere, the gang encounters resistance – entire villages protect perpetrators. Entering the heart of these conflicts, we discover a true story, complex, confusing but comforting. “In the ’80s, lesbians, INSTEAD of trying to change the system from within, thought They could live outside of patriarchy Their Lives. From the underground life of” Butchs “and” femmes “in the 1950s, the feminist movement of the 1970s , or newly “converted” to lesbianism, Were the key players of a movement and That Has No name That I call the parallel revolution. “Myriam Fougere takes us on a journey to meet writers, philosophers and activists who Were key players in Creating a revolutionary sisterhood.From Montreal to Texas by way of New York, she encounters something lesbians who live only to Among women. 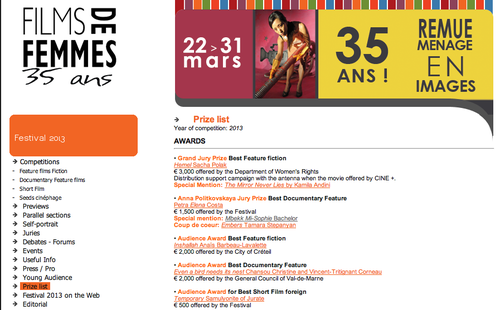 read about all other documentary features.